If you had a serious health condition like heart disease, lung or colon cancer, wouldn’t you want to know at the earliest possible stage, even before you started experiencing any symptoms so you can make some important decisions? That’s the premise behind a new type of technology that offers a quick look inside your body using a full body scan to identify any abnormalities. It used to be that only people at risk for illness, or those who were exhibiting certain worrisome symptoms, would have access to diagnostic tests such as MRIs (magnetic resonance imaging) or CT scans. These tools provided an important way to assess various health situations. The latest body scans take this concept and make it available to a broader range of people. This enables them to protect their health in every way possible. But while the idea makes sense theoretically, the practical aspects of applying this raise many ethical issues. A growing number of people today are opting to undergo personal body scans so they can find out if they have any serious illnesses at the very earliest stage while there is plenty of time to still treat them. The problem, though, according to many health experts, is that the information may cause undue stress and in many cases, there may not be any productive actions that patients can actually take to change their fate. Further complicating the situation is the fact that the information obtained by personal scans can prompt some people may make drastic decisions. For example, a woman whose test reveals a lump that could be cancerous might undergo a double mastectomy to stop her risk even though it may not be necessary. Such scenarios cause concern for many public health advocates, who warn that such actions could be in vain, since the lump may be benign, or it could be a cancer that may never even progress or be life-threatening. In fact, at the American Society of Clinical Oncology’s recent Annual Meeting, participations raised their concerns about the connection between increased breast MRIs and increased numbers of mastectomies. Further, taking a surgical treatment option (whether needed or not) carries its own level of risk. But people who are in favor of body scans say that the benefits of this new approach far outweigh such negatives. Whether you opt to get a quick body scan done through that gives a brief overview of your risks, or prefer a more in-depth look inside your skin, you will likely come out of the process with a better picture of your health status. Some of the screening options available for the public at large include heart, body, lung and colonoscopy, and many screenings take a broad brush approach. This enables technicians to look for early warning signs of various conditions and make suggestions for change as needed to safeguard your future health. Some of the types of information you can obtain from a body scan include finding plaque in your arteries, identifying tumors and screening for early detection of colon and rectal cancers. Doctors say that having this knowledge can prompt people to make healthy lifestyle changes, such as losing weight, quitting smoking and exercising regularly, which over time could have a positive impact even if the latest word from the U.S. Dept of Health and Human Services is that this early identification to date hasn’t been proven to help people live longer. There are two basic approaches available for personal screenings. The first relies on CT scan or computed tomography technology. This uses an X-Ray beam around a patient to produce computerized images of the tissues and organs inside his or her body. 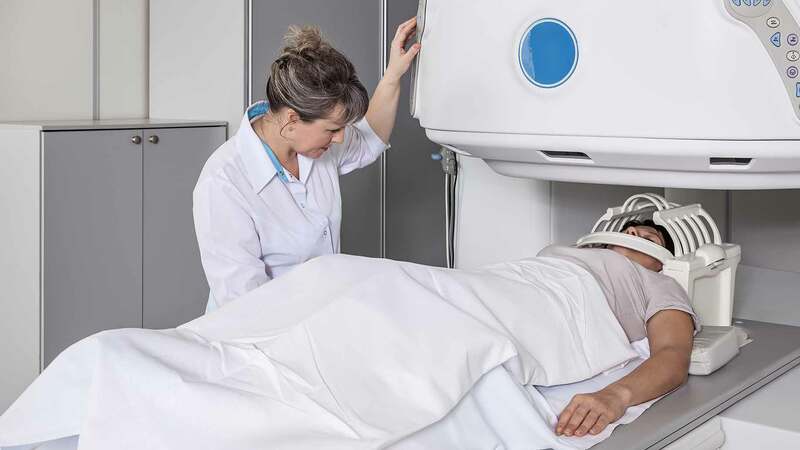 For personal body scans, a faster version of this approach, called the Electron Beam CT, offers a quick but intensive look at certain potential problem areas. In addition, it takes in the entire body rather than focusing on just one section. An MRI on the other hand, relies on magnetic forces to get a view inside your body. While both options are noninvasive, one important difference is that CT scans do expose patients to small doses of radiology. Just keep in mind that if you do choose to have a personal body screening, either by CT scan or MRI, this will often be less in-depth than the similar medically-necessitated procedure and there is also no guarantee that all abnormalities will be discovered. If you want to have personal body screening done, you can do a search online to find what options exist in your area. There are also online directories of options, such as Scan Directory. You can also ask your doctor for advice and recommendations, or find out if this process is available at some of your local radiology centers. The price of a personal body screening can range a great deal – starting at under $200 and going up to $3,000 — depending on where you go and what you get. At the low end, you can find a quick personal scan starting at about $170 through companies like My Body Scan and Brain Scan. These website advertise that the procedure takes under five minutes and is performed by participating radiologists who offer this very low rate as a public service to help patients. You can compare this to a more typical MRI, which can last as long as an hour and provides more in-depth imaging information and analysis of the results and averages in the $1,000 to $3,000 range. For a CT scan, you can expect to pay about $350 for a quick procedure. The regular going rate for this in the medical field starts around $1,000. So you can expect to spend anywhere between $200 or less up to $3,000 for a personal full body scan. It is also worth noting that when you elect to undergo a full body scan, it is usually not covered by your health insurance provider. If your doctor orders such a test for medical reasons, however, your insurance may pick up the expense for the procedure. While you may have to pay out of pocket for a personal body scan, this now qualifies as a tax-deductible item. This can help to overset some of the costs in the end. Further, experts predict that in the future, personal scans may qualify under flexible spending plans offered by many employers.